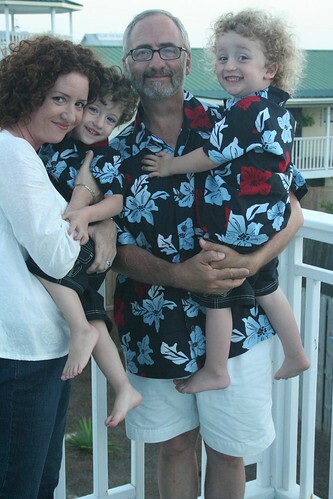 It’s been ten years since one of our twin sons almost died in an accident at the beach. (You can read my original post about it here.) Ten years since a stranger intervened and changed the course of our lives. Ten years of being able to hug this child, watch him grow, nurture his faith, support his dreams, enjoy his quirkiness, and give thanks every single day that he is still with us. Ten years is a long time in the life of a child – it is the difference between a preschooler and a teenager! – but a short time for a mama. Sometimes, I am separated from the horror of nearly losing him by only the barest breath. Even so, it is easy to forget how precious each day is, how precious every breath is, and how none of it is a given. 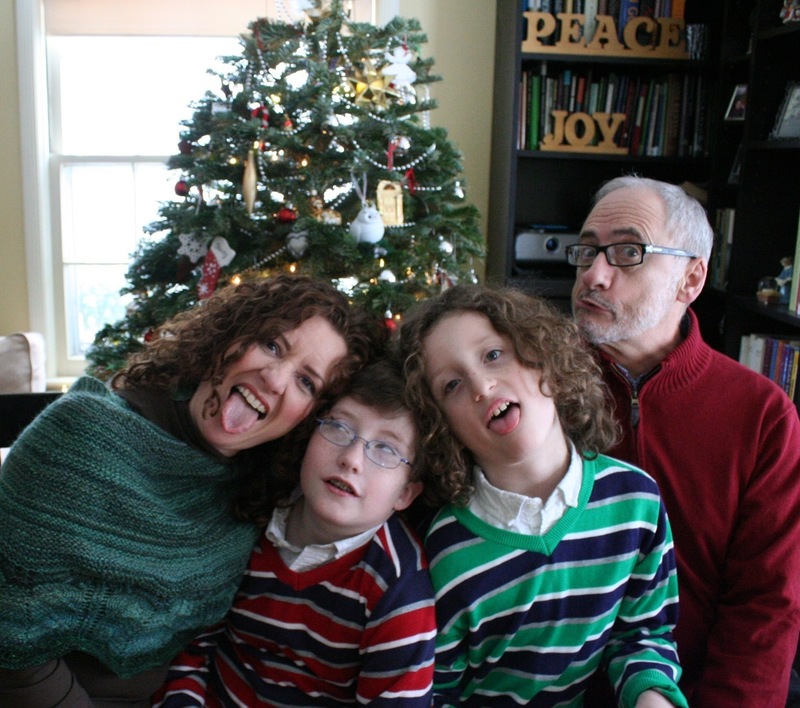 I’ve had 3653 days with my son that I almost didn’t have, yet many of those days have been marred by my impatience, ingratitude, inattention, and other parental failures. Ten years after a miracle, it is still easy to take things – and people – for granted too often. Which is why anniversaries (not just this one, but also birthdays and anniversaries of both love and loss) hold such importance for me. These markers in time invite me to remember, to reflect, and to recognize again the profound gift of life. It has been exactly a year since I wrote my last blog post (a major writing project was demanding all my “free” time, and now that it’s completed, I’ve got another huge project on my plate), but I had to come by and mark this anniversary in this space once more. It’s hard sometimes for me to talk about this experience publicly, because I know so many people who have suffered the loss of a child (including in sand hole collapses), and I don’t want my own celebration after a near-loss to be somehow insensitive to parents who grieve. And yet it is precisely this – the fact that any one of us could lose any beloved and precious person at any time – that compels me to write. To live in the awareness of the fragility of life is to discover that every breath is a miracle, every moment we have with anyone we love is a miracle. I got a real honest-to-goodness miracle on the beach that day, thanks to a stranger who was radically open to the stirrings of the Spirit. But each of us is surrounded by miracles every day, and the world is so much better when we treat each other with the awe and wonder and gratitude befitting this reality. Last summer, we had the amazing experience of meeting Erika Weiland, the woman who saved our son and changed our lives. We had a beautiful time of connecting with her and her dear family (including her brother, who helped pull our son from the sand hole! ), and hearing again the story of that day from her perspective. She is an absolute treasure and her faith is an inspiration. I am forever grateful for her and for her openness to being used by God for good. Not all of us get the chance to save somebody’s life. But every day we have a thousand chances to treat each other as miracles and to make their lives – and the world – better. Ten years after our miracle, I am committed more than ever to doing my part. My mom died twelve days ago. It was unexpected, and it happened fast. I got a phone call from my dad at 5:00 in the morning, I got a plane ticket, flew down, got a car, drove down, got to her bedside at 7:00 that night, and a little more than an hour later, she was gone. I can’t even begin to describe our shock and sadness. 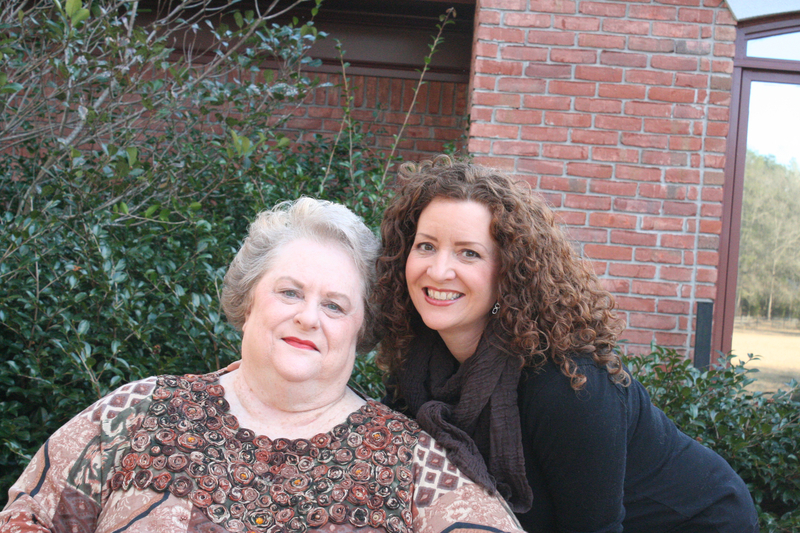 My mother and I were incredibly close; we talked almost every day, and I could tell her anything (and she was actually interested to hear it!). I was fortunate to have had extra time with her in the last few months, because my father had been through some medical crises and I went home to help take care of her (she became a paraplegic in 1997 after malignant melanoma went to her spine and broke her back, and my father was her full-time caregiver). Those days with her were so precious to me at the time, and all the more so now. This had already been a very difficult summer for a number of reasons. Through it all, my spinning and knitting (much of which I did sitting next to my mom) helped keep me balanced and centered. But now? All of a sudden I can’t seem to do either one. 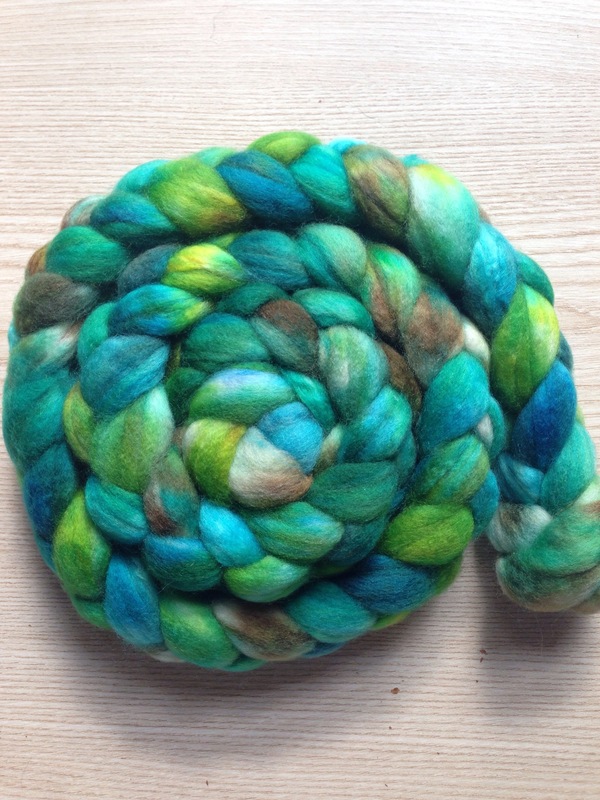 I haven’t spun since my dad had a medical emergency mid-July (the last day of Tour de Fleece). And I haven’t knit a stitch since the day my mother died. It’s so strange. I look at my knitting and it feels like it was something a different person used to do. I assume this is only temporary. I think this week I’m going to try to make myself pick up the sticks and knit. One of these days I’ll maybe even get back in the blogging groove (I do have a whole backlog of projects to show you, most of which are handspun). Have you ever been so sad, or so disoriented that you couldn’t even do the thing you loved most to do? If so, how did you move through and beyond that? 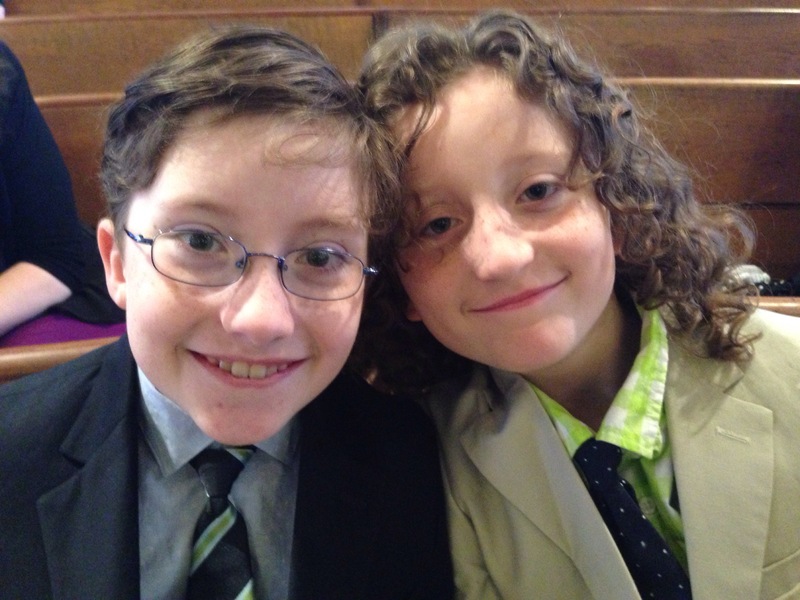 My boys turned 10 last weekend, which is amazing and wonderful and unbelievable all at once. 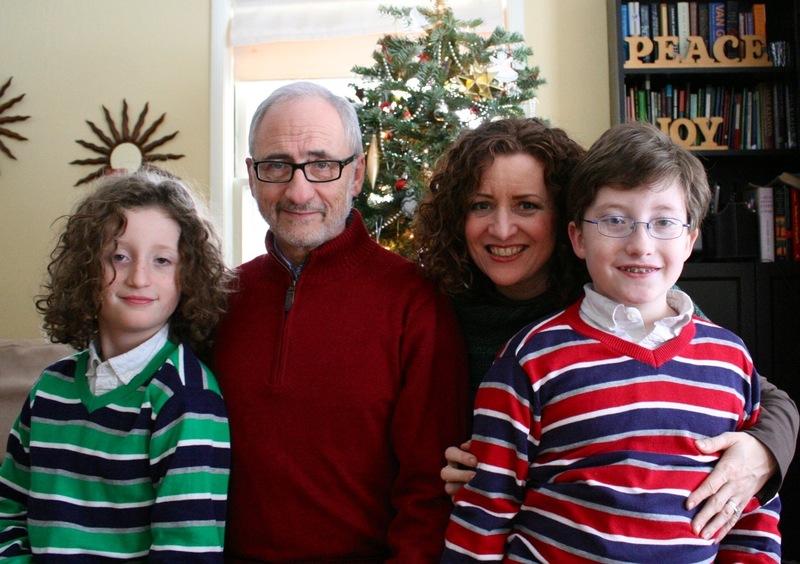 As many of you know, we nearly lost one of our sons in a beach accident almost seven years ago, when the boys were three. I tell the story every year in hopes of helping people learn about the dangerous but preventable phenomenon of sand hole collapse. In the past, I’ve shared about this on the anniversary of our son’s rescue, but I’ve realized I really need to get the word out earlier in beach season, in order to help raise awareness for as many people as possible. In July 2007, when my sons were three years-old and our family was visiting Santa Rosa Beach, Florida, one of them fell into a hole dug by other children, and the sand collapsed on top of him, burying him completely, with his head at least 8 inches under the surface. He was completely buried for at least five minutes; miraculously, he survived. You can read the full story here, with follow-up here . And read about it from the amazing perspective of Erika Weiland, the woman who saved his life, here. After our accident, I learned that this kind of accident, while uncommon, is not unheard of; it is not a “freak accident.” In fact, this sort of accident happens on beaches around the world every year, more frequently than shark attacks do. The vast majority of these kinds of accidents happen to boys, between the ages of three and 21. 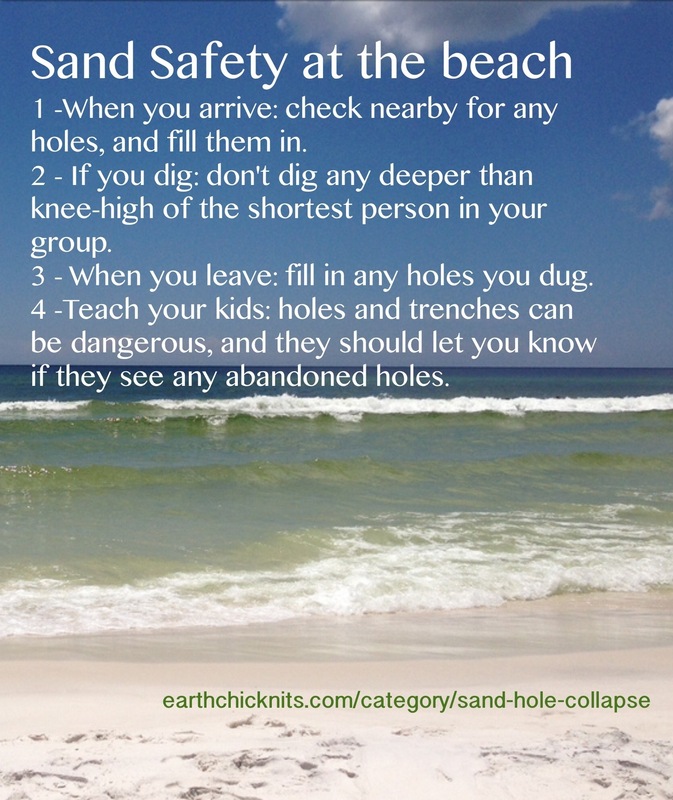 Even when the accident is witnessed and people act quickly, it can be very difficult to dig a child out of a hole or trench on the beach; the sand wants to keep filling back in the hole. The majority of these accidents end in death. While this kind of accident is uncommon, it’s still a risk, and one that can be prevented without too much effort. There are four easy things you can do to prevent such a tragedy. So, that’s it: one thing to do when you arrive at the beach, one thing to do while you’re there, and one thing to do when you leave, plus one thing to teach your kids. I know that #2 seems pretty severe. I got this piece of advice from Dr. Bradley Maron, who has studied sand hole collapses, but if knee-high holes are just too shallow for your group to deal with, perhaps waist-high of the shortest person in your group? Every year, as part of my celebration of getting our baby back, I post about our experience, in hopes of raising awareness of this entirely preventable sort of accident. Every summer these accidents continue to happen. I believe that with more awareness of the risks, such tragedy could be avoided. My internet friends have been a huge part of helping me raise awareness. Will you help me spread the word again this year? I always like to give a little something away as part of my celebration of this amazing anniversary. This year, I would like to give away something that reminds me of the gorgeous water at Santa Rosa Beach (part of what is known as The Emerald Coast). FLUFF Merino-Cashmere-Nylon, “Murky,” 4 oz. I love this fiber SO much. It’s so super-gorgeous and I would love to share it with you. If the winner is a spinner, I will send you the fiber for you to spin. 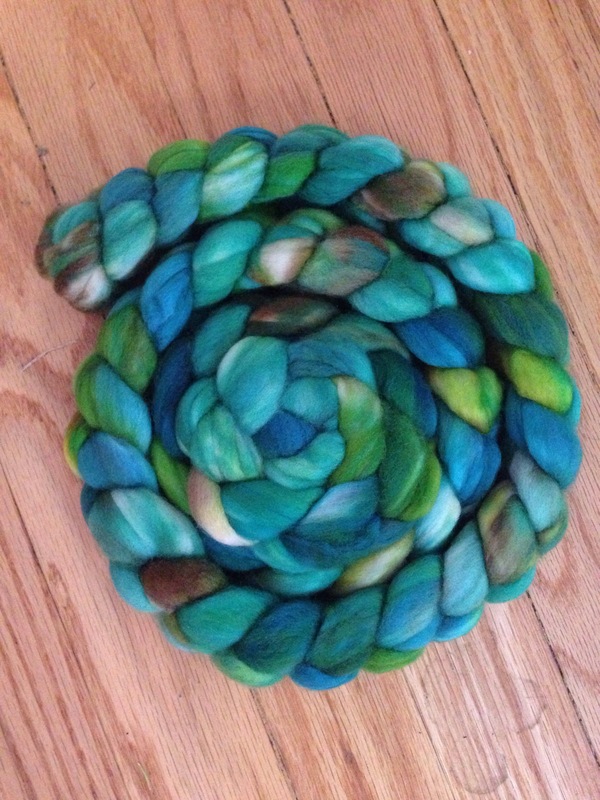 If the winner is a knitter but not a spinner, I will spin it for you to knit. And it the winner is neither a spinner nor a knitter, I will spin it up and knit something yummy for you. All you have to do to enter the giveaway is spread the word about the risk of sandhole collapse and what to do to prevent these kinds of accidents. Spread the word however you’d like – on Facebook, Twitter, Pinterest, Instagram, Google+, your own blog, word-of-mouth, or all of the above. If you spread the word online, you can link back to this page, or to one of the previous posts I linked to above. Then come back here and leave a comment, letting me know you’ve passed it on, and I’ll enter you into the drawing. I will draw a random winner next Friday, June 14, after 5:00pm EST. Some of you, of your own volition, have already linked to this story this season. THANK YOU! If you would like to be entered in the giveaway, just leave a comment letting me know you’ve already posted/linked, and I will enter you. Thank you, good people of the internet, for continuing to help me spread the word about this. Roughly half my life ago, my next-door neighbor gave me the nickname “earthchick,” and it stuck. At the time, it fit. I was what you might call “crunchy” – an earth-loving, tree-hugging, back-to-nature, vegetarian hippy-type (another friend called me “granola gal”). I was into hiking, camping, backpacking, contra dancing, recycling, and the Indigo Girls; I wore long crinkly skirts and Birkenstocks. You get the picture. I suppose I still have a crunchy sensibility (though I’m no longer vegetarian), but in Ann Arbor, Michigan, that is so far inside the mainstream as to be pretty unremarkable. Also, I haven’t camped or backpacked in awhile. It was a bit of a shock to me recently to realize exactly how long it had been since I’d been camping. 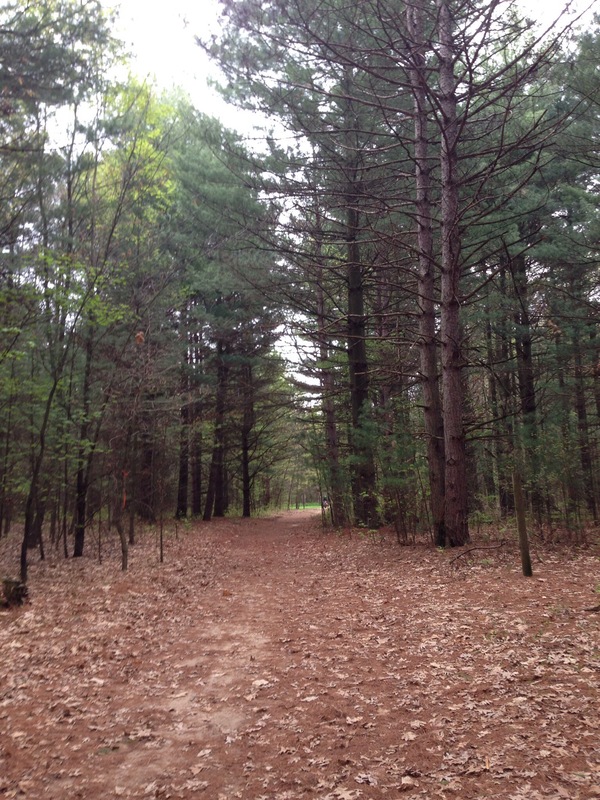 I camped a little as a kid and a teenager, and a lot as a college student and twentysomething. I always imagined that once I had kids, I would spend entire vacations with them camping and hiking, maybe even backpacking. Then I actually had kids, and lots of my ideas about what life would be like went out the window. 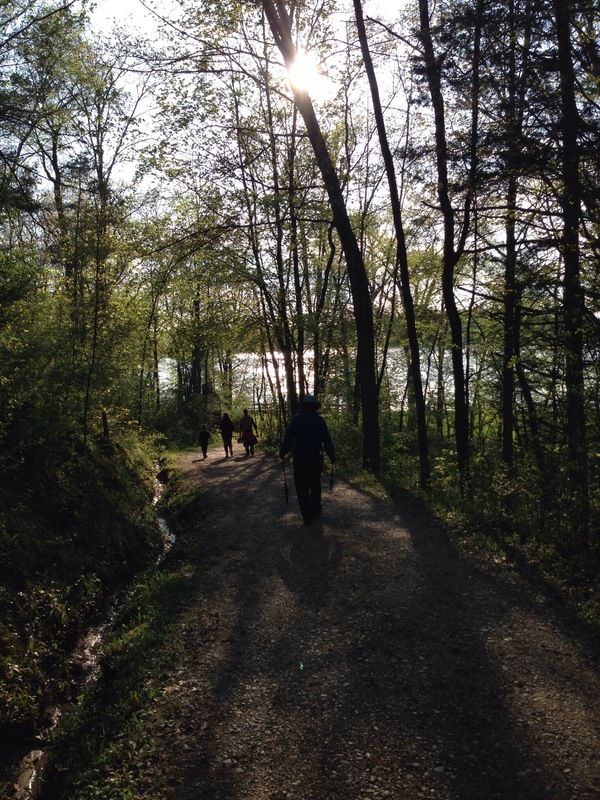 In retrospect, I also realized that I always, always went camping or backpacking with at least one other person who knew more than I did about what to do. So I never really needed to know how to pitch a tent by myself, for instance, or how to start a fire. The idea, then, of taking my family camping, became a bit daunting. Enter the Cub Scouts. My kids both decided to try scouting this year, and so far it’s been a good experience. In Cub Scouts, everything is pretty family-oriented, so for any camping, at least one parent comes, too. And with so many other parents around, not to mention the cubmaster, I don’t have to worry about not knowing how to build a fire. 1 – Comfort is way more important to me than it used to be! When I was younger, I loved being able to just strap everything onto my back and go. 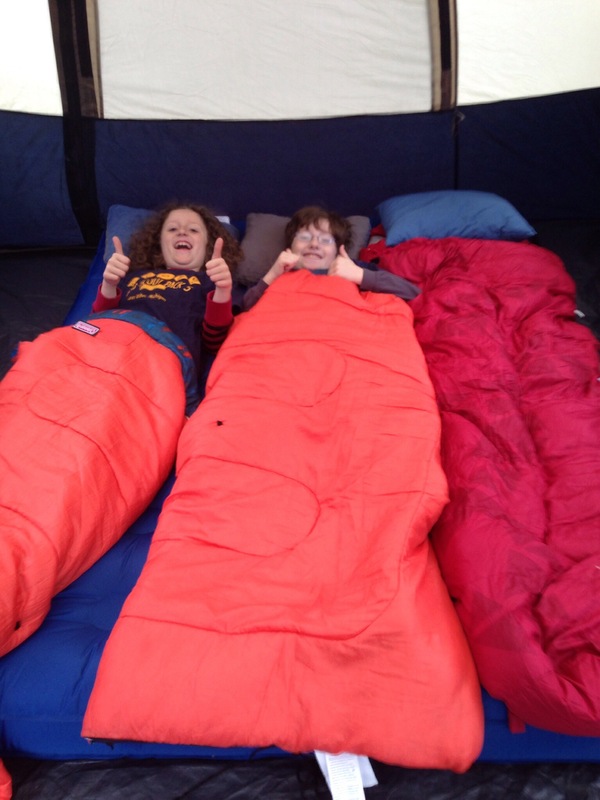 I didn’t care how small the tent was – small quarters was part of the fun. My priorities are different now. Give me comfort! Give me convenience! I also needed something I could set up basically by myself if I needed to. This tent is called an “instant tent,” and that’s not far from the truth. In the video on Amazon, two adults are able to assemble the tent in less than a minute. 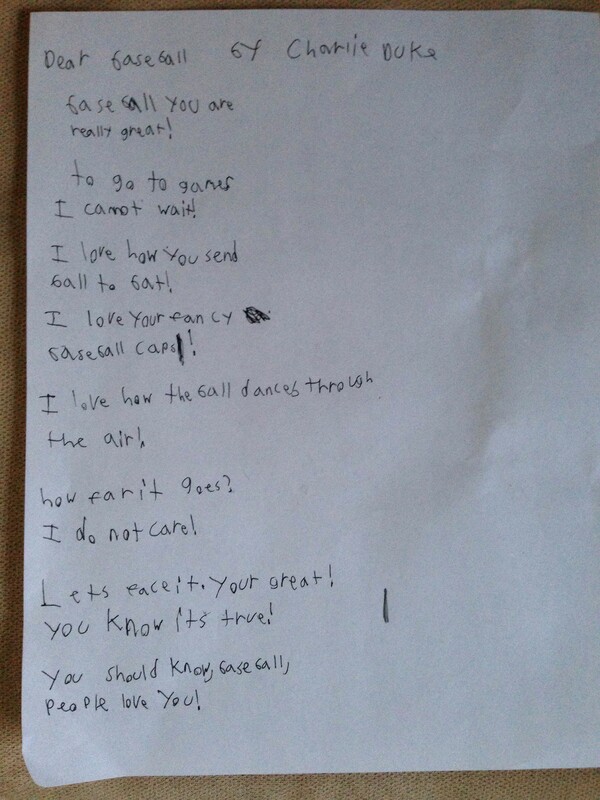 Working with a 9 year-old, it took me about 10 minutes. At 6:00 the next morning, I collapsed it by myself in about 5 minutes. I figure that most of what we’ll be doing as a family, at least for a little while, is car camping, so I’m willing to deal with the extra weight and bulk. Until I started backpacking and using a lightweight sleeping pad under my sleeping bag, I always just slept with my sleeping bag directly on the floor of the tent. Apparently people don’t do that anymore? REI is having a huge sale right now, and with my 20% member discount I bought this Kelty Sleep Eazy Air Bed. It comes with a rechargeable pump (so you don’t have to have electricity at your campsite to use it) and it was super easy both to inflate and deflate. It was also comfortable, though I wouldn’t recommend sharing it with two 9 year-olds. And here’s a pro-tip: take the deflated air mattress out of the tent before trying to collapse the tent when you’re done. Trust me, it’s a lot easier that way. 2 – I have mixed feelings about fishing. As a kid, I loved fishing with my dad. It’s one of my favorite memories from the first time he ever took my brother and me camping in Virginia (I caught four brim!). But my dad always baited the hook for me, and he also removed any fish I caught. The same has been true of what little fishing I’ve done as an adult – My Old Man has always baited my hook (as well as the boys’) and removed any fish for us. So it was a brand-new experience for me on the Cub Scout campout last fall, which I went on without My Old Man, when I had to put the worm on our hooks by myself. 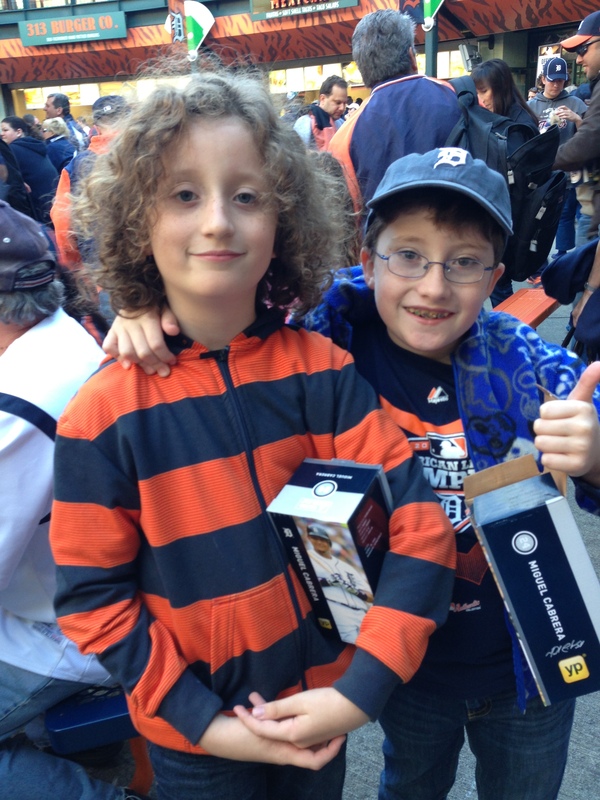 It’s not something I felt I could ask another parent to do – on a Cub Scout trip, I really should be modeling self-reliance and resourcefulness, right? – so I went ahead and got my hands dirty (and bloody). 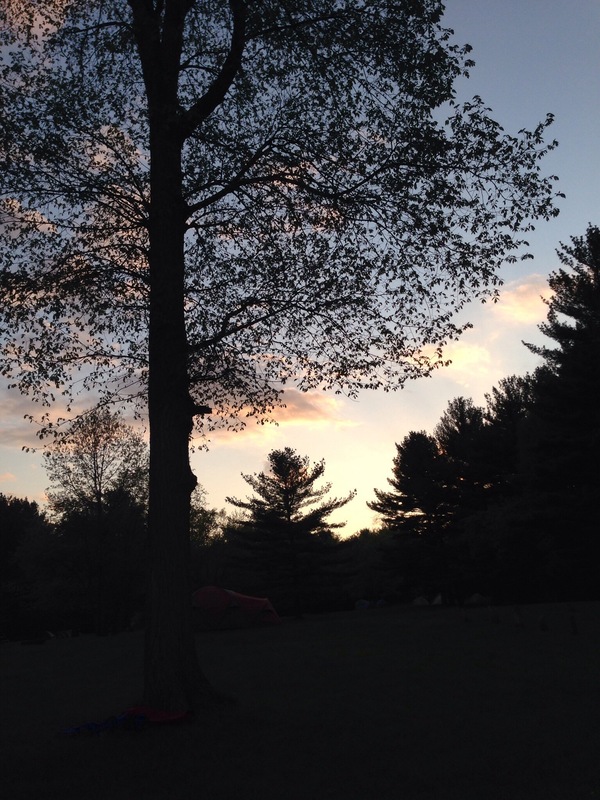 On the spring campout last weekend, though, one of my kids actually caught a fish, and that’s where things kind of broke down for me. It’s one thing to teach myself how to tear a worm in half and put it on a hook; it’s quite another to get a live fish off a hook without harming it. In the end, I had to ask another parent for help. He was able to release the fish and get him safely back in the water. 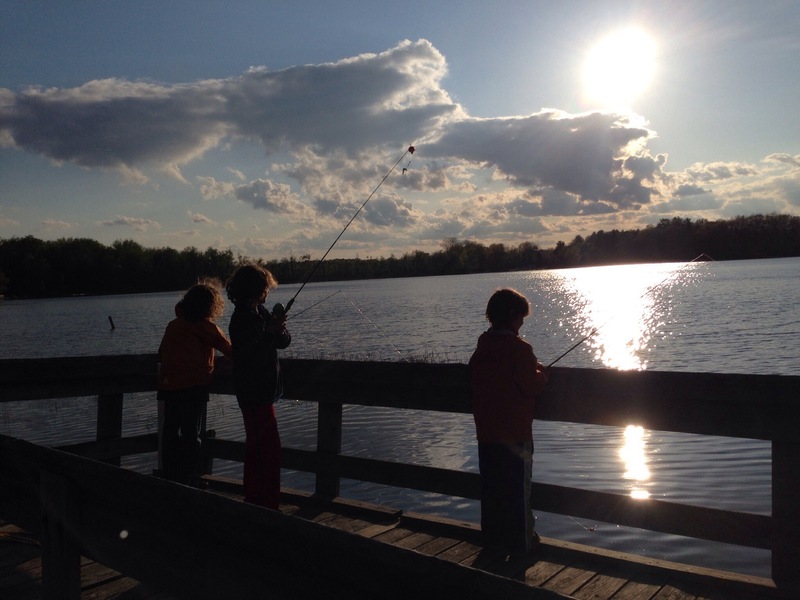 But one of my kids was sufficiently traumatized by the experience of watching the fish almost die on the hook that he declared he was done fishing. And truth be told, I’m not so sure about it myself. I have no problem with the concept of catching fish to eat; it’s the catch-and-release business that bothers me. The idea of hurting a fish for no good reason (i.e., not to be eaten) – ugh! On the other hand, standing alongside a lake, enjoying the silence and stillness that good fishing necessarily requires? That, I love. 3 – Ain’t no cold like Michigan cold. Michigan, you are beautiful, but you are cold. After 13+ years here, you would think I would know this by now. But I am still learning – it will always get colder than I think. I thought I had camped cold before. I can remember waking up “freezing” while camping before. But, y’all, I WAS SO WRONG. I have never really woken up freezing until this past weekend. I have camped in Georgia, South Carolina, North Carolina, Virginia, Kentucky, and Washington State, and I have never been as cold in my sleeping bag as I was this past weekend. And I even had a brand-new sleeping bag – the Kelty Cosmic 20 Degree Down Sleeping Bag is rated to 20-degrees, but I didn’t manage to have it cinched properly around my head, so I woke up very, very cold in the wee hours. Then I couldn’t get back to sleep, worrying about my kiddos, one of whom was moaning in his sleep about how cold he was. Their sleeping bags are not really rated for cold weather, which I hadn’t anticipated being a problem on the third weekend of May, but that’s because I am an idiot who still hasn’t learned about Michigan weather. It got down to 37 degrees, and the thing about a 14×10′ tent that only has three people sleeping in it is that body heat can’t get trapped in there to help keep you warm. Anyway, it’s time to get my kids some new bags. Another parent recommended this kids sleeping bag, now on sale at REI. It looks like a great deal (though they’ve already sold out of the blue I wanted for my kids), and I’m considering it, but I’m also open to suggestions. I don’t want to spend a lot, but I’d like to have something that will keep them warm if we ever find ourselves camping in near-freezing weather again. Any recommendations? This looks a lot like Georgia, but it is way colder. 4 – There’s always room for a handknit hat. 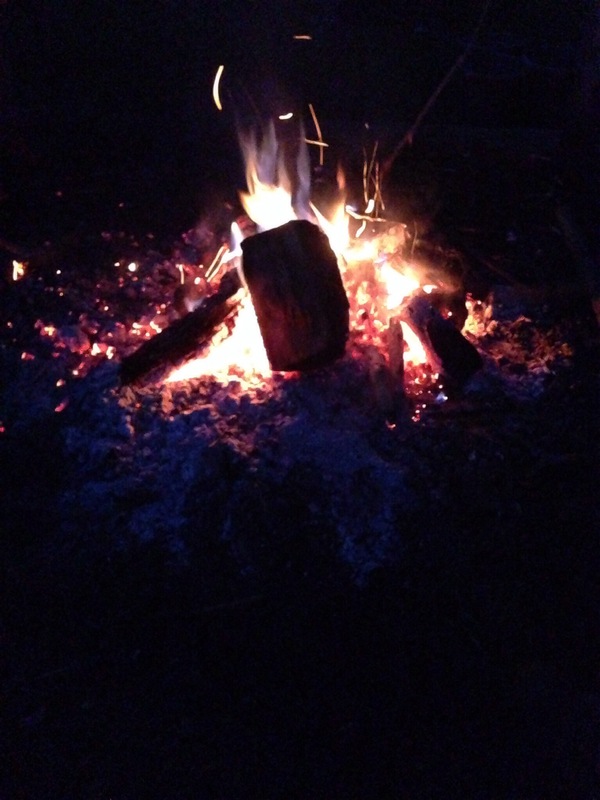 What kind of knitter goes camping in cold weather and doesn’t bring a handknit hat? The kind who still hasn’t learned lesson #3, about the Michigan cold. Seriously, earthchick, pack a hat! I was feeling good about having packed all our Mukluks (handknit slippers), which we slept in over our socks. But most everyone on the campout also wore hats once it got cold, except for me and my poor kiddos. A lot of the misery of the night could’ve been softened by the addition of a handknit hat, which I have a bin full of, of course. 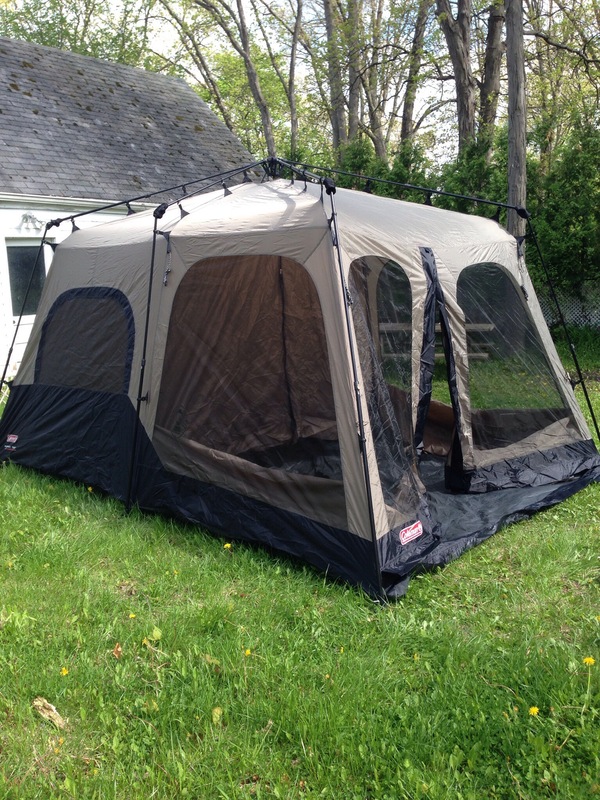 If you have room for a 14×10′ tent, you have room for three 2oz. hats. 5. I need to come up with a better emergency coffee plan. I have found that most people don’t make coffee as strong as I like, so these days I always travel with my own set-up. I bring my Bonavita Bona Voyage 0.5-Liter Electric Travel Kettle (y’all, I LOVE this kettle!! ), my super-cheap, super-easy, super-effective single cup pour over cone (Melitta 64008 Red Ready Joe Filter Cone ), and a little ziploc of my favorite coffee (Seattle’s Best Level 4 Ground Coffee, 12-Ounce Bags) (LOVE). All of this packs very small and works basically wherever I am to make my perfect cup of coffee very easily and very fast. But without electricity, using my travel kettle wasn’t an option (even a car adapter wouldn’t help, as I had to park roughly half a mile from our campsite). I brought my pour-over cone and baggie of coffee (gah! I know I sound like a total junkie with my baggie), but figuring out the hot water situation was a problem. I had to break camp at 6:00a to leave by 7:00a, whereas everyone else was staying to hike. The cubmaster said he’d be up in time to make coffee, but it didn’t actually work out as early as I needed my fix. I don’t know how to build a fire (lame, I know), and I don’t currently have my own little camp stove set-up. But obviously I need to step up my plan. I’m wondering if any of you could recommend a small camp stove or even some kind of tiny burner that could heat up enough water to make a cup or two of coffee. I’m interested in all recommendations, especially for very small, very easy set-ups. If you want to recommend a small camp kettle, I’m interested in that, too. 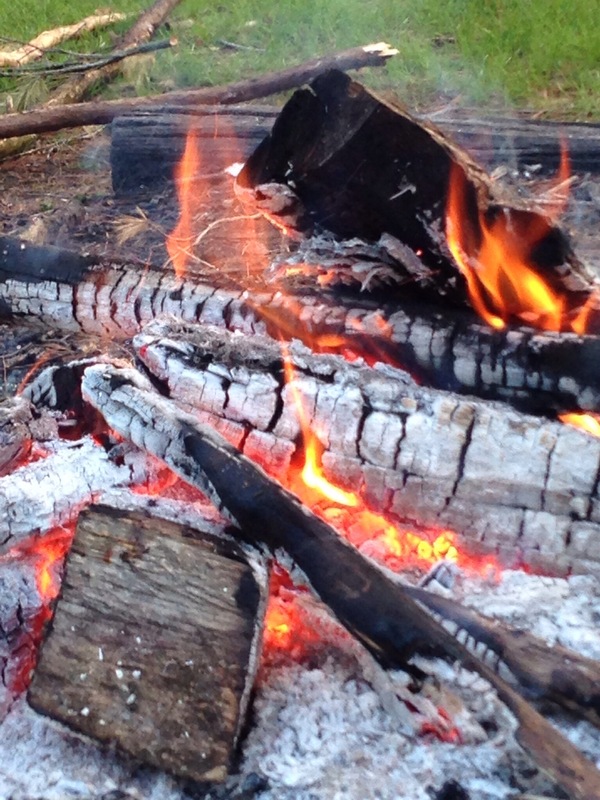 how to build a fire! how to get a fish off a hook! how to get my kids to haul their share of gear! But for now, I’m happy to have learned these few lessons. And I’m very eager to hear any of your recommendations for kids’ sleeping bags, small camp stoves, or anything else you think would be useful for an aging hippy chick to know about getting back to nature, family-camping-style. A year ago this past weekend, I ran my first official half-marathon and had my most beautiful race experience ever, at the Martian Marathon in Dearborn, Michigan. 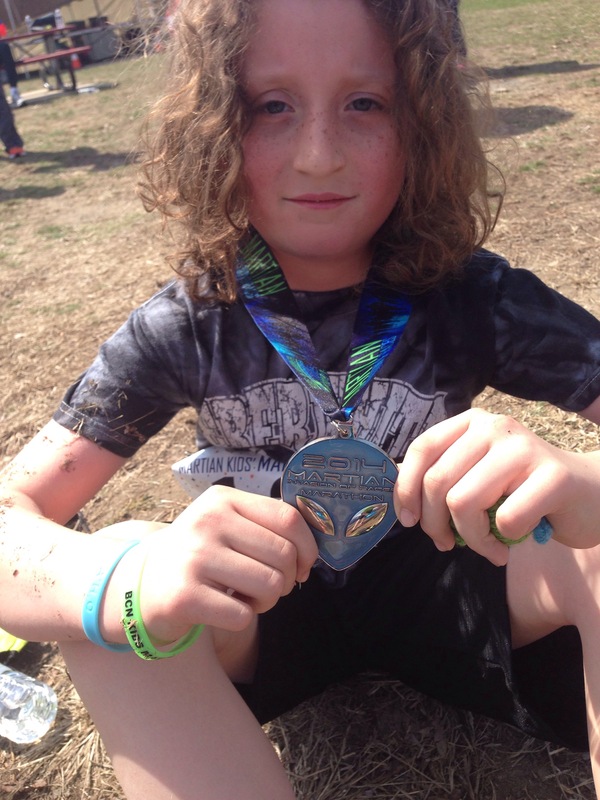 Two days later, the Boston Marathon Bombing happened; that night, my then-eight-year-old asked if he could go for a run with me. I blogged about that experience here. I had high hopes of continuing my runs with him, as well as of preparing for a full marathon. But a few days later, I realized I was injured, and my recovery took longer than expected. In the year since all of that, I’ve stopped and started running a few times, setting and revising goals all along. I won’t bore you with the details, but the upshot is that by mid-February this year, (after already giving up the goal of a full marathon in late fall), I realized I needed to quit trying to prepare to run the same half-marathon again this spring. In fact, I’ve taken a break from running pretty much entirely for now, and have devoted myself to something else in the interim, which I’ll share about when the time is right. It’s funny how sometimes in order to receive some new gift in your life you have to let go of something else first. Within a few days of releasing the goal of my next half-marathon, and of giving up running entirely (for now), my son asked me if I would help him train for the kids’ marathon at the same event. The idea is that, over a period of several weeks, kids log miles with the goal of completing 25 miles before race day. Then on race day, all the kids run 1.2 miles together. The focus is on completing the distance not on being fast (the race isn’t timed at all). 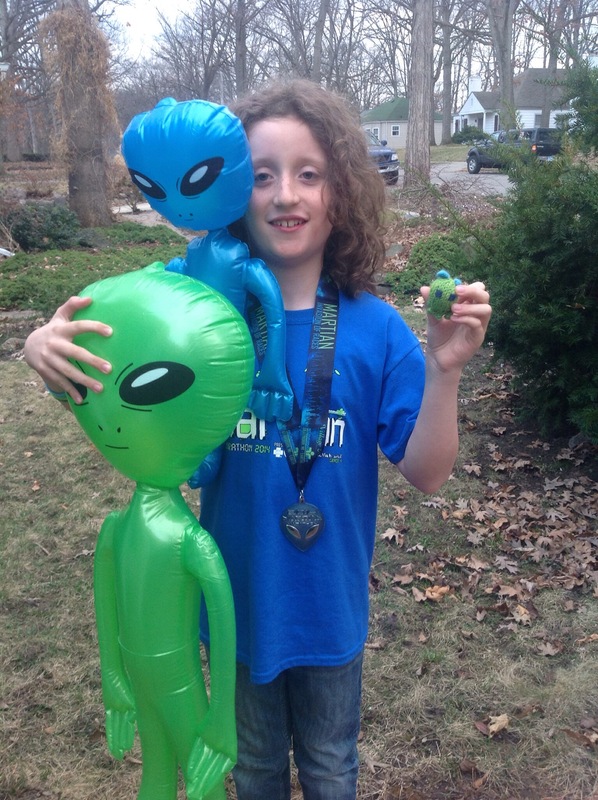 The kids who do it, receive the same medal that the adult marathon runners do. Little Buddha didn’t care whether we ran or walked for our training; in fact, he preferred to mostly walk. So in mid-February, when it was still bitterly cold and snowy, we began our walks together. I rarely get time with just one child, but Tiny Dancer had no interest in joining us, so it was just the two of us for all those miles. Most of the time, he did all the talking, while I got to listen. A few times, he asked really important questions, or shared pretty deep thoughts. Sometimes he would slip his hand into mine while we walked. Little Buddha was focused on winning that medal, but I felt like I got my reward every time we walked – time with him. And actually ran while holding him. In fact, the alien’s a little felted now, from the sweat and the friction. And the love! Though we mostly walked for our 25 miles of training, we ran a good bit of the 1.2 miles on Saturday. It was a perfect day for it, and doing stop-start slowish running with a kid didn’t seem to aggravate my injury too much. We crossed the finish line hand-in-hand. 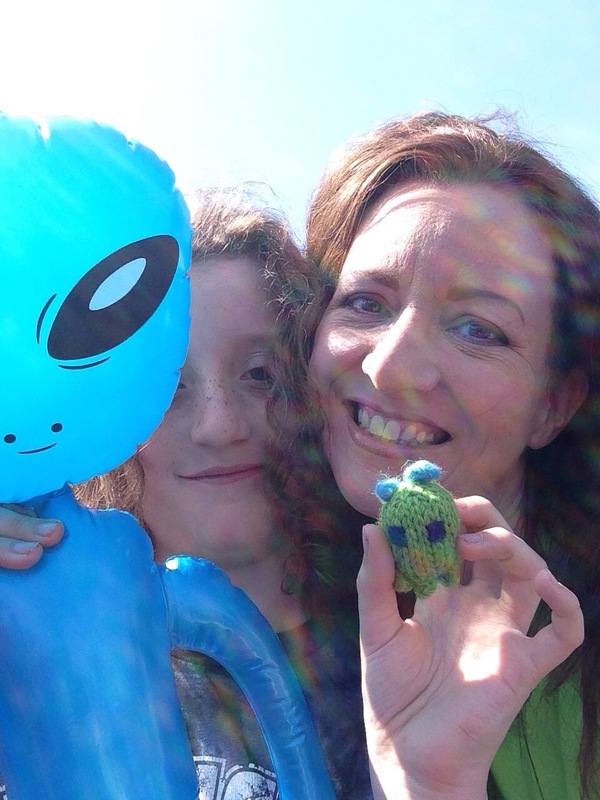 Of course he had the handknit alien in the other hand. If you are a runner, you know how great it feels to cross the finish line. If you are the parent of a runner, you know how wonderful it is to see them cross the finish line. 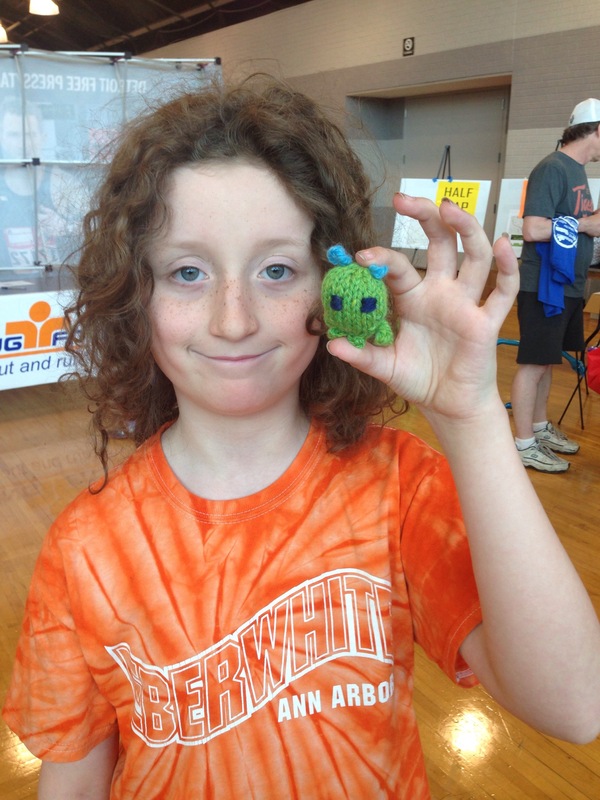 If you are a knitter, you know how amazing it feels to see someone cherish something you’ve made for them. So yeah, I was pretty much feeling all the feels on Saturday. 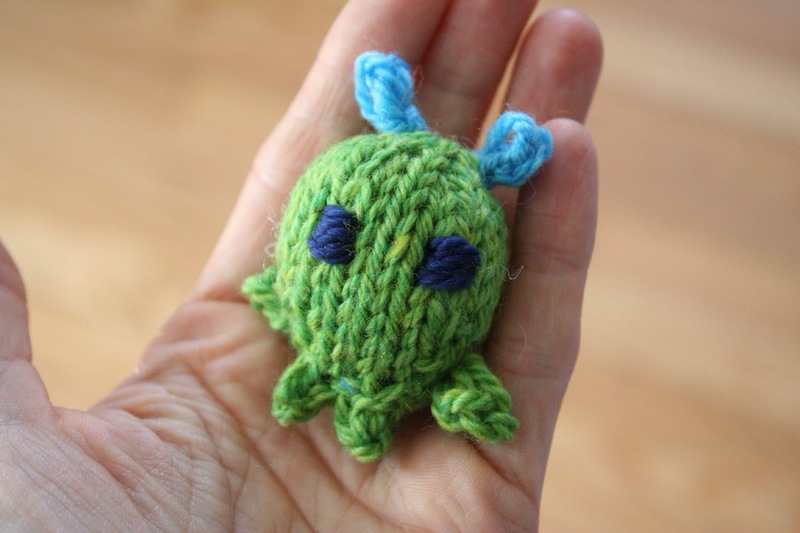 And now I basically want to knit all the teeny-tiny mochimochi toys for my kids and everyone else. Let’s face it. You’re great! 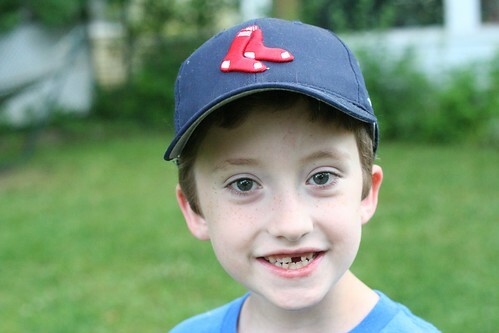 (This is my little slugger in 2011, when he played on his first baseball team, the Red Sox). With apologies for the radio silence this week (as I’m sure you understand, many obligations have overtaken my time, and I couldn’t manage to keep up with my blogging plans), I’m just popping by to wish you and yours a Merry Christmas (if you celebrate) and a happy Wednesday (if you don’t). We’ve had a wonderful day and hope you have, too. Build a fort and sleep in it. We’ve done this one every year, and the boys always love it. Little Buddha, our builder, has an eye for both engineering and aesthetics, and he had some new ideas he wanted to try out this year. We had several frustrating minutes during which we were all working at cross-purposes with each other, but we finally got it all sorted. This year, in addition to all their comforters and blankets, we added the pup tent I made them for their fifth birthday. 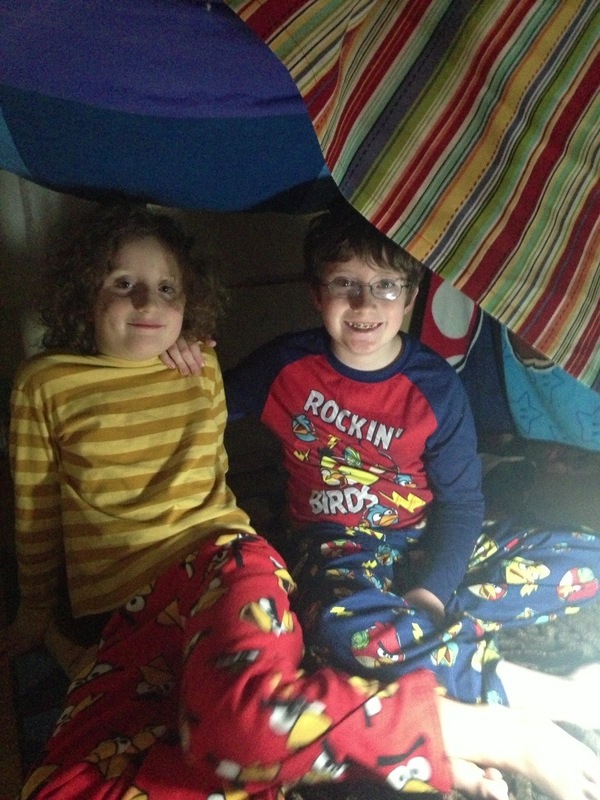 They had a great time camping out in their bedroom, and it was another nice reminder for me at it doesn’t take a lot of time and effort to make an ordinary day a little bit special. This activity is part of this year’s Advent Activity Calendar. You can find more Advent activities by searching the category “Advent Activity Calendar,” or by referring to the page “Advent Activity Calendar,” where I have tried to catalogue all the activities from 2009 until now. 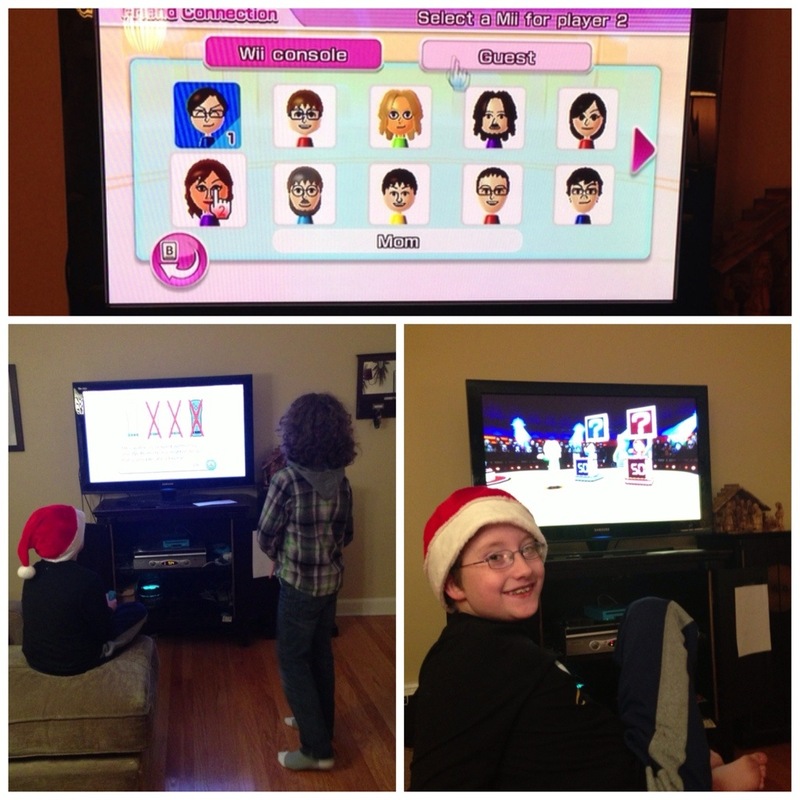 The boys have been begging for me to play video games with them. 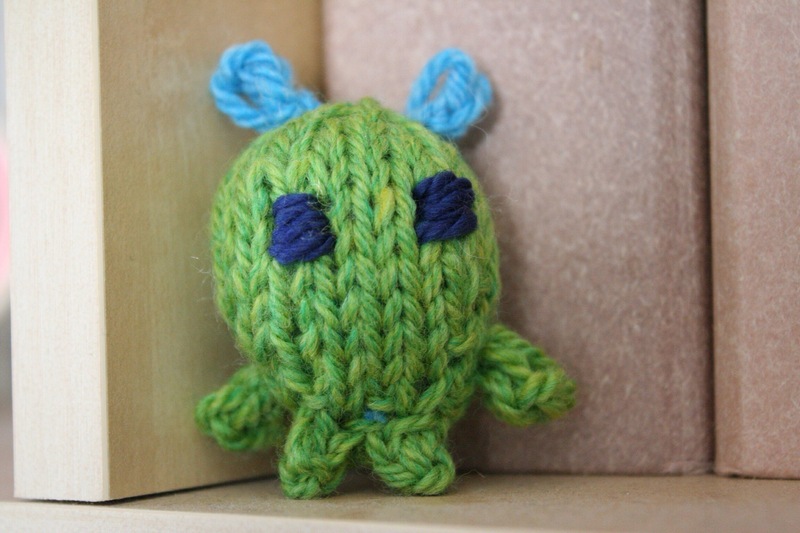 I really don’t like to play video games – if I’m going to be sitting on the couch in the living room, I’d just as soon be knitting (or spinning). I’m happy to watch them play, I just don’t really want to put my knitting down and play myself. But they really wanted it, and it seemed like a fun way to spend a little time together. They were SO happy to find this activity in their second Smitten.